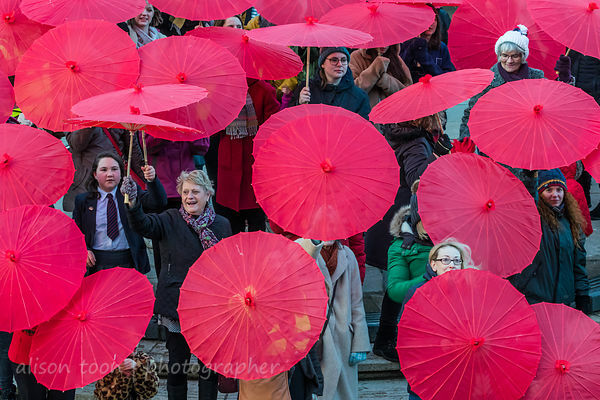 Such a cool way to celebrate unity on International Women's Day! 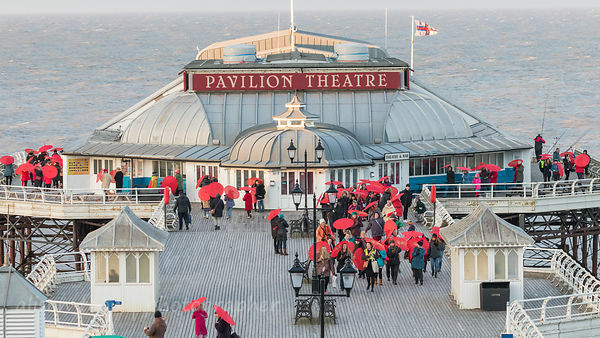 A procession of women, from tiny to tall, carrying red parasols, winding their way down to Cromer's promenade and onto the pier this evening, to mark 8th May, to commemorate the centenary of British women being able to vote, and also inspired by Sisi, one-time Empress of Austria. The event was organized by Dr. Sarah Lowndes, writer, curator and lecturer--you can find the whole story here, in the North Norfolk News. 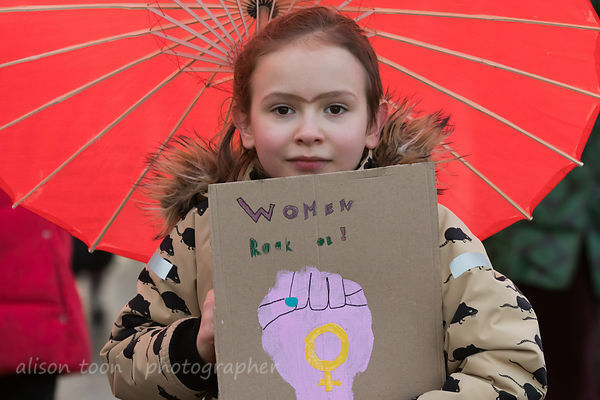 Click here to see full photogallery from Alison Toon Photographer!